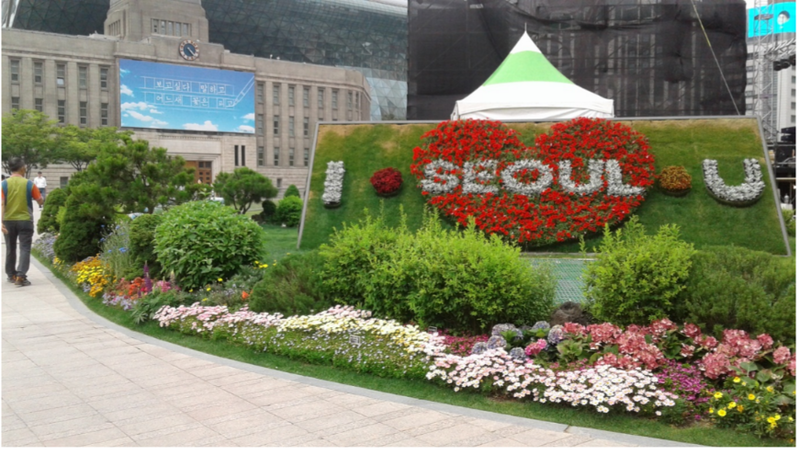 Seoul Plaza refers to the square located in front of Seoul City Hall at Taepyeongno, Jung-gu in Seoul. In fact Seoul Plaza, located between the Renaissance-style stone combined modern-style glass building and modern classic of Seoul Plaza Hotel, is a historic site where in March , 1919 that called Sam–il Independence Movement and contributed further to Korea’s protest culture, including in June 1987 the pro-democracy movement were held. So, this area has been widely provided as a location for public rallies, protests and variety events for a long time, there were the both significant political demonstrations and social -commercial -cultural expositions taken place at the square, such as a well-known place where tens of thousands of Korean soccer fans came to cheer during 2002 World Cup Games, Hi! 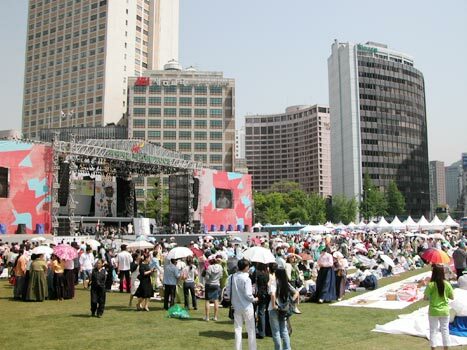 Seoul Festival, and Seoul Drum Festival which held on May 27th – 28th, 2016, etc. Anyway this site was originally a traffic square with a 40-year-old fountain that was demolished and the nearby space was renovated. In 2002 the roadway was completely transformed for grass area and Seoul Plaza is elliptical in shape grassed covering 3,995 pyeong (13,200 square metres approximately). 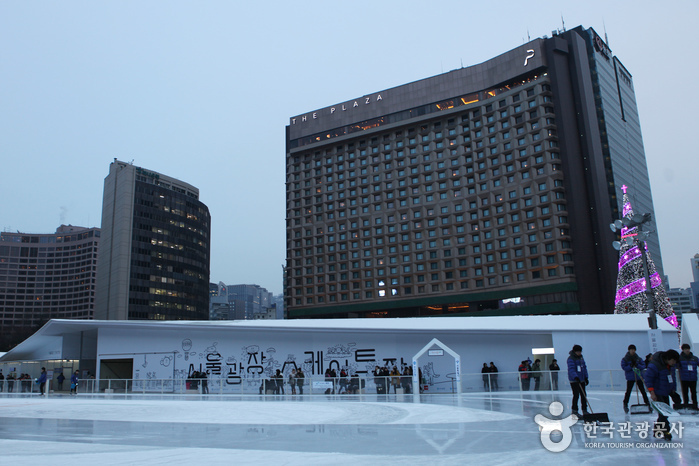 The newly renovated place around the fountain area in front of Seoul City Hall. The fountain is created high water columns according to the lighting from underground water tanks , 48 colorful lights were installed around the grass square, so that the beautiful night scenery can be viewed along with the surrounding landscape. Furthermore the elliptical place is currently used as a place to hold various events and cultural festivals and enjoyable courtyard of many Seoulites. Seoul Plaza has gone on display for every season that makes the heart of Seoul staying lively all time, similarly the soul of Seoul everlasting. This entry was posted in Events, Spot and tagged Korea, plaza, Seoul, ‪‎travel.